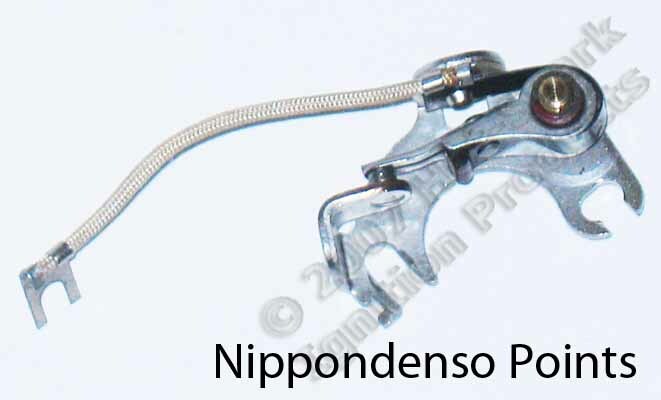 For original equipment Toyota/Nippondenso (with single, right-pivoting points, not dual-points) distributors only. 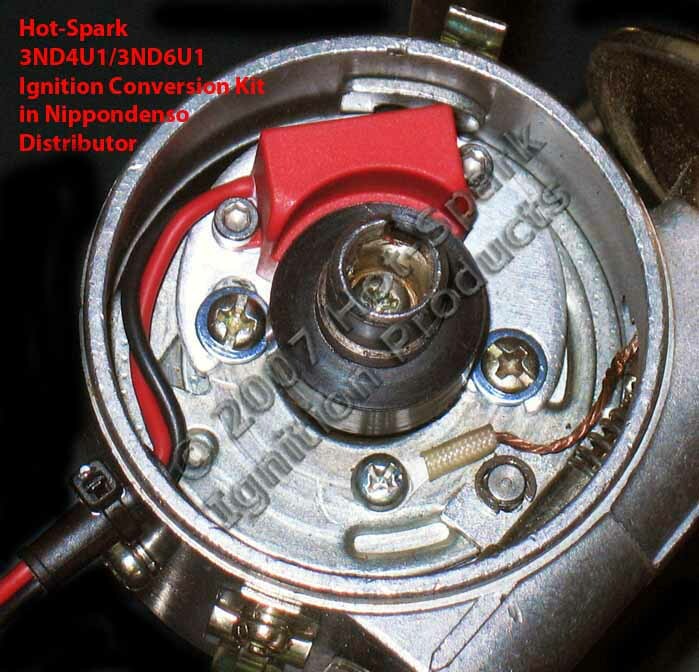 The points in your distributor must look exactly like the points in the above photos or the 3ND4U1 or 3ND6U1 ignition kit won't fit your distributor. 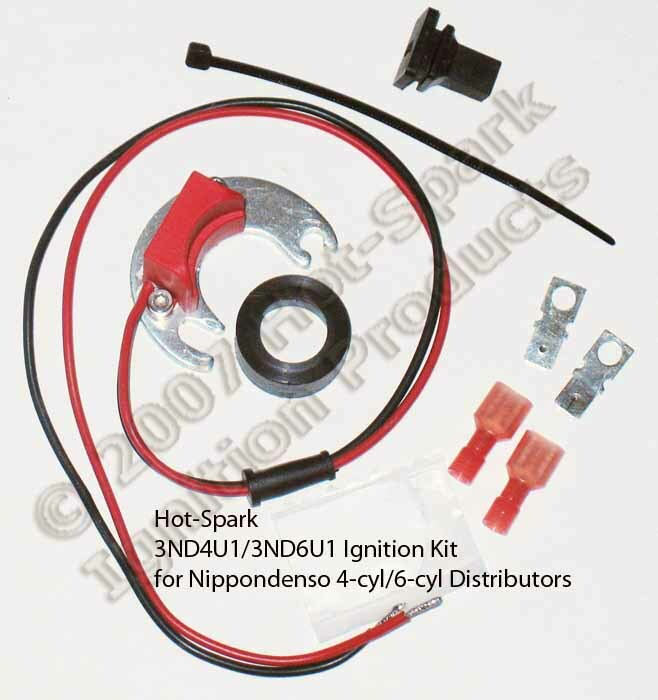 If your distributor's breaker plate has an upright pivot pin remaining, after you remove the points, this ignition kit won't fit it. 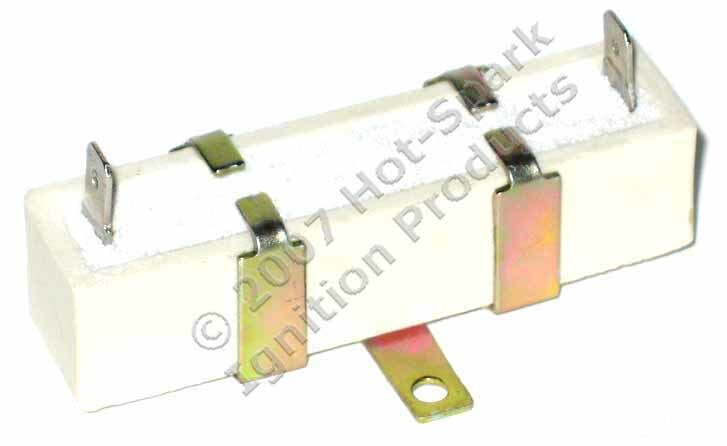 The points must be the type that are secured to the breaker plate by two screws. The above-pictured points are 1-piece, right-hand pivot pin points. 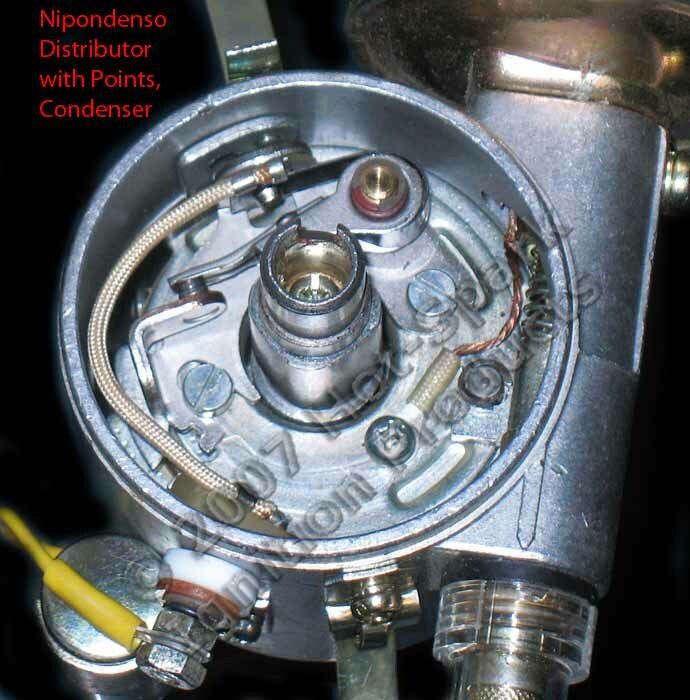 For original equipment Toyota/Nippondenso points-based distributors only. required. Beru Germany Blue Coil recommended.